In 2000, you had 12 seconds. In 2015, you had eight seconds. Today, I say you have five seconds. That’s how much time you have to capture someone’s attention with a mobile video ad—or anything, for that matter. If you’re still reading, pat yourself on the back—you’ve stuck around for five seconds. While killer ad targeting and an optimal bidding strategy can greatly help you reach your ideal audience, nothing will change the fact that you’re running a bad mobile video ad creative. All mobile advertisers will always have this one problem in common: video ad creative design. Even though a video creative is so critical in mobile advertising, we seldom examine the psychology behind how your audience watches video ads and what psychological elements trigger emotional responses that drive action. 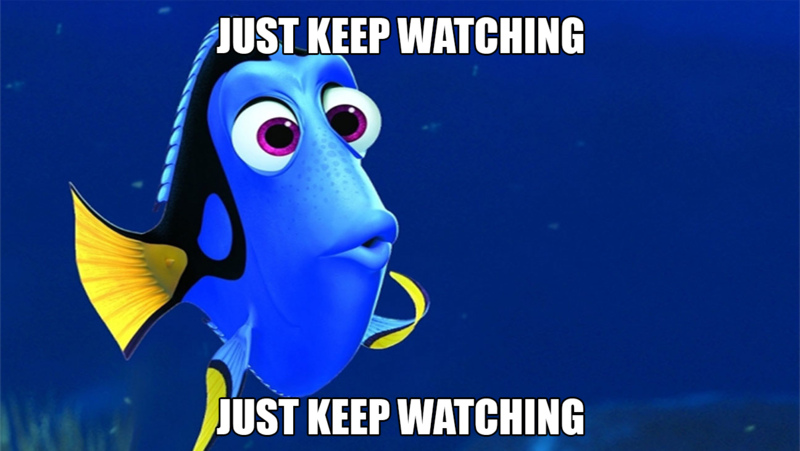 However, just because the average human attention span is that of Dory from Disney’s Finding Nemo, doesn’t mean your video ad can’t capture a viewer’s attention. There is decades of research proving the validity of human behavioral psychology in marketing. So … just keep reading, just keep reading … as I’ll run through how to craft a mobile video ad creative that people can’t take their eyes off of. As a recent survey of mine has found, mobile game players prefer seeing gameplay in a mobile game video ad. 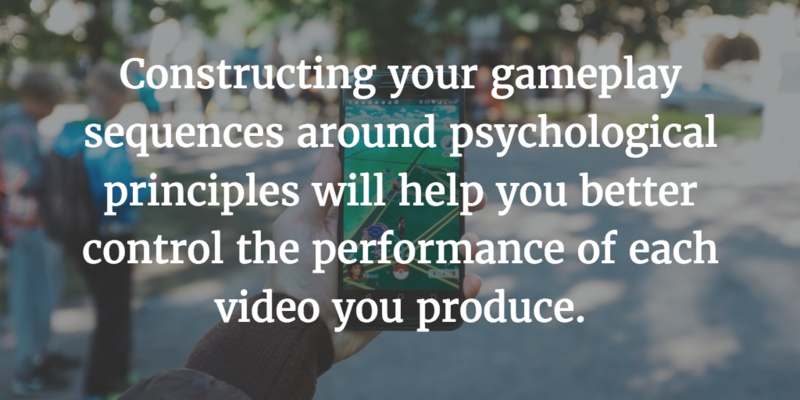 But you can’t just create a 30-second video ad of gameplay and expect it to perform well. The gameplay you choose to show off can make or break your video ad creative , and what you think is your game’s best feature isn’t always what’s most compelling. The gameplay is self-explanatory: You can “get it” at first glance. The gameplay is inspiring: It makes you imagine how you’d play it yourself. The gameplay is honest: It shows you what kind of experience you’re in for. The gameplay is seductive: It leaves you wanting to see more. Self-explanatory: Without any text overlay or voice-over, you understand exactly how the game works. Inspiring: You think about where you might go to catch Pokemon of your own. Honest: The experience portrayed is very accurate. Seductive: You see a variety of recognizable Pokemon, hints of battling other players, and a mysterious gadget attached to someone’s bag. There are certain things that humans are predisposed to noticing—faces, certain colors, exogenous cues such as flashing lights—and knowing this can be used to your advantage. One mistake I commonly see in video ads is the pairing of character art with gameplay. Sounds like a good idea, right? In fact, just the opposite is the case. You might be accidentally competing with yourself! In the Pokemon Go Get Up and Go video ad, human faces and gameplay are never shown in the same scene. More times than not, a face—either of a real person or character art—will steal your viewer’s attention. It sounds obvious, but it’s easy to overlook when you’re using character art or live action video (or photos) in your video ads. In the Pokemon Go example, you’ll notice how the actors’ faces and reactions are always shown separate from the gameplay. As mentioned, the human species is hardwired to recognize faces and the emotions of the faces presented. In the Pokemon Go ad, joy—an emotional cue—can be read on the actors’ faces, grabbing the viewer’s attention and driving action to click-through and learn more about the game. Not only does the video ad include real people, but the actors’ faces are doing another subtle thing. Throughout the video ad, the actors’ eyes are looking at their mobile devices. The player will follow the path of where the actors are looking. Essentially, the video ad is training the player’s eyes to look at Pokemon Go gameplay footage once it cuts to that. In addition to faces, color psychologically impacts human behavior and emotions. A lot of mobile user acquisition managers and marketers use red as the color for CTAs in ad creatives, for example. Red is famous for influencing behavior—there’s a reason traffic stop signs are red in nearly every part of the world after all. Do you want your viewers to click the red CTA or the blue CTA in your video ad? But that doesn’t mean you should always use red colors for a CTA. 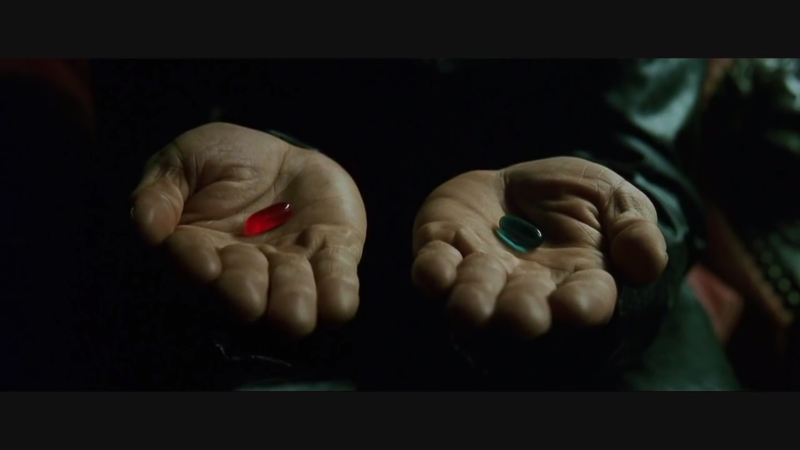 Often, data suggests that simply testing two different colors—in the same way that Morpheus tests Neo with a red pill and blue pill in The Matrix—would prove which color you should use or not. However, if red increased ad conversions more than blue, that doesn’t mean red is therefore better than blue. You must assess why red worked in isolation. For example, analyze the color palette in your video ad creative. If it’s mainly shades of green, then red would indeed stand out and look more vibrant against a green-dominant background. Red works with green because it’s a complementary color to green. Combined, they create color harmony, which is a theory that refers to combining colors in a way that pleases the human eye. Gameplay is important but, in an industry riddled with copycats and clones, it’s equally important to make yourself stand out. Most of your video ads probably include extra imagery for this very reason—art assets, animations, influencers, and so on. The visuals fit the theme of the ad. The visuals don’t confuse the viewer. The visuals enhance or improve the ad. Using our Pokemon Go example, we see a variety of non-gameplay elements, including players and a Pokemon Go Plus device. Nothing seems out of place, and none of the visuals confuse the viewer. 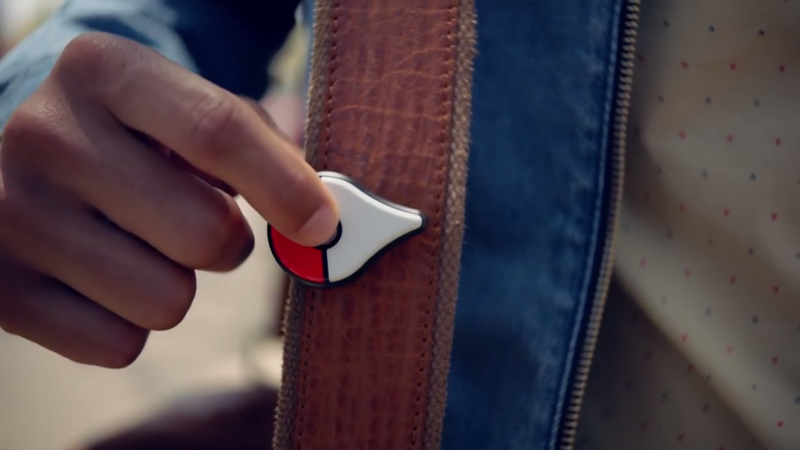 The reactions of players and the inclusion of the Pokemon Go Plus enhance the ad by demonstrating the gaming experience. You’ve followed the best practices in this post and are now ready to push your campaign live. Before you do that, consider conducting a proper feedback session for your video ad to ensure that everything checks out.